Drainage System Plano, French Drains, Surface Drains, Sump Pumps. Have Foundation Issues, Water Drainage Problems? We’re A Contractor Who Installs Drains That Are Effective. Why get a drainage system? Plano French drain installations, surface drains, and sump pumps prevent water issues and foundation damage. We’re a drainage contractor that stops yard water from harming concrete slab foundations and crawl spaces under pier and beam houses. We know all about poor water drainage problems and drainage systems. So call HD Foundations in Plano. Find out about French drains, sump pumps and surface drains. They’re used for foundation drainage correction around houses quite often. With almost 40″ of rainfall in the area annually, drains are commonly needed in North Texas. 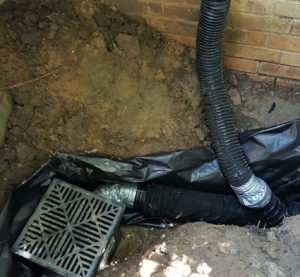 HD Foundations installs all types of drains in Collin County, including surface drains, catch basins, channel drains, capillary drains, sump pumps, and yard drains. 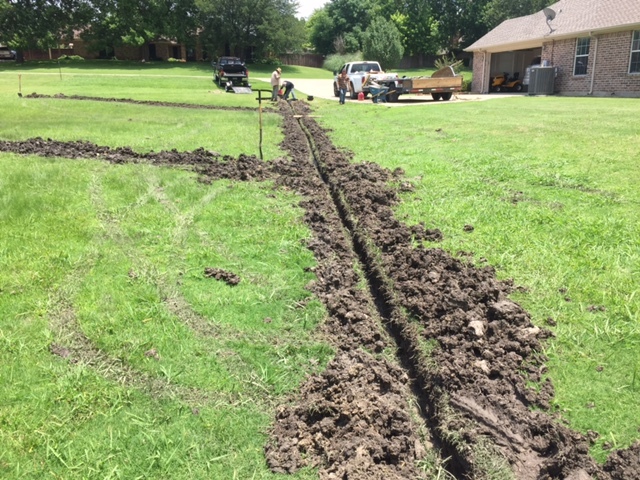 Residential drainage contractors in Plano install French drains the most often. Surface drains are the type of drainage systems that contractors use for transporting a large amount of surface water fast. Unlike French drains, they’re designed to prevent standing water in yards. Sump pumps installations protect foundations from floodwater. When groundwater is an issue and is seeping beneath a slab foundation, French drains are used. They’re placed around Plano houses. These foundation drainage systems are appropriate for pier and beam structures, too. French drains move smaller amounts of water than surface systems. They help prevent foundation upheaval. Contractors position French drains directly next to concrete slab foundations and pier and beam structures. They help eliminate crawl space drainage issues and slab foundation water concerns. When working in Plano, the French drain systems contractors install are approx. 12″ wide X 16-18″ deep. The trenches are dug by hand. 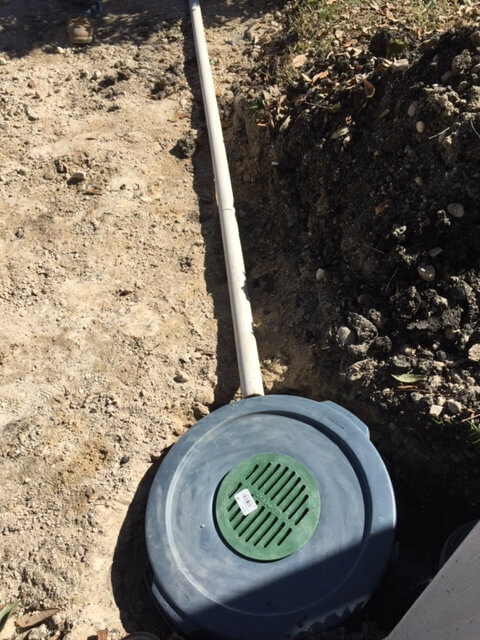 A flexible 4″ perforated PVC pipe and sock is placed inside the trench. Next, it is filled with native soil and pea gravel. Contractors also perform installations of surface drains. Like sump pumps, Plano yard drainage systems of this type are used to transport large amounts of water rapidly. They prevent standing water in lawns and eliminate flooding concerns. 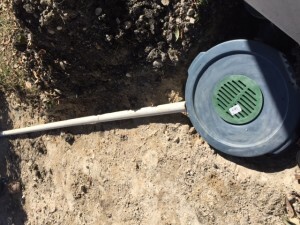 Surface drains are usually constructed using 9″ X 9″ collection boxes. They boxes have grates and are connected to a 4″ piping system. The pipe may be 20′-120′ long or more. It can be sized as needed in order to release water a proper distance away from a structure. Sump pumps installations in crawl spaces and flooded lawns are effective. The ones we install are automatic and require access to electricity. 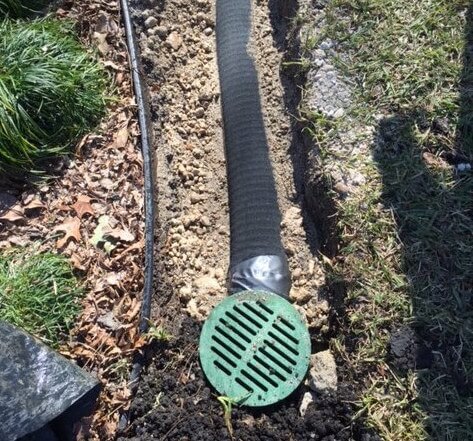 If your Plano property h as standing water, it’s wise to install a drain. The longer you wait to eliminate moisture on your property, the more likely you are to have foundation damage later. Because water carries so much weight, it can do serious harm. To prevent problems, contact HD Foundations. We conduct thorough drainage evaluations. Whether you need a surface drain, sump pump or French drain installation, schedule a Plano drainage system estimate free online today. Or, just call us.